Fabricated Products’ 85,000 sq ft premises lies nestled at the banks of the Shannon in Co. Clare. Their history tells the remarkable story of a local company gone global. The 32-year-old company began as a sheet metal manufacturer with a work force of less than ten. In its three decades it has grown into a global metal products producer for the Computer, Electronic, Medical, Telecommunications, Transport Refrigeration, Military and Aviation Industries. 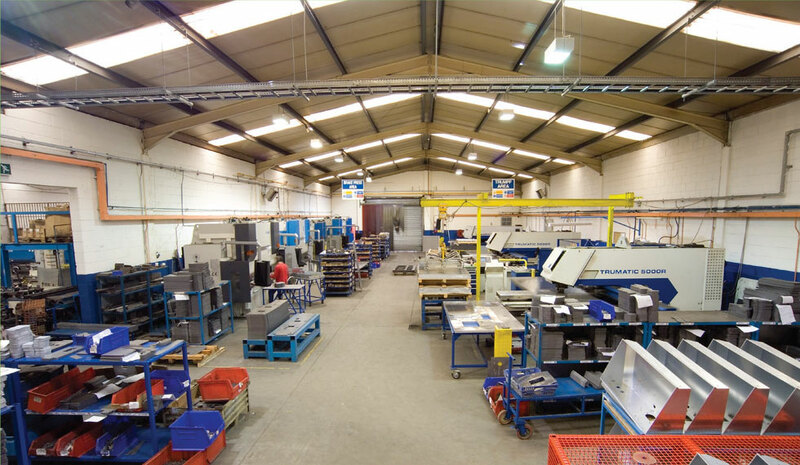 With a staff of 120 people Fabricated Products is an indigenous Irish company that grew from inauspicious beginnings into a manufacturer of high quality, cost effective sheet metal, precision turned and machined components for the Irish, European and International markets. Fabricated Products manufacture a diverse range. Their main item is sheet metal manufacturing, from mild steel to stainless steel to aluminium, to perforated steel. The company offers CNC milling and turning in house, along with tube forming. Other facilities available include a paint shop, five robotic welding cells and manual welding centres. 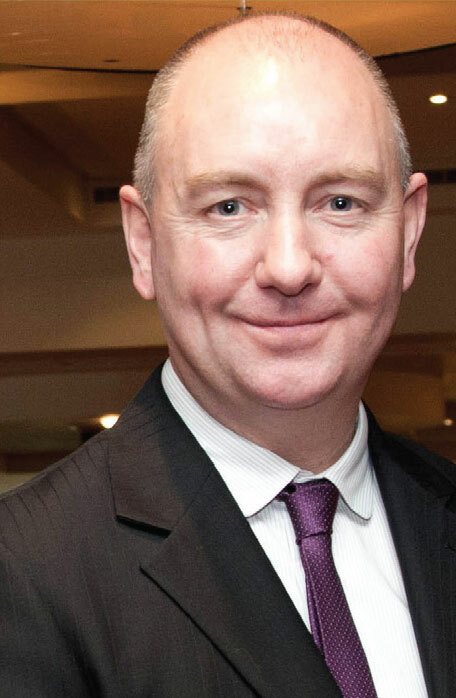 Managing Director of Fabricated Products, Darragh McDonagh highlighted Fabricated Products’ long-standing commitment to innovation and improvement. The strength that lies at the heart of Fabricated Product’s success is their willingness to diversify their products based on the market needs. “Fabricated Products has diversified over the last ten years, in relation to what we produce. We’re now supplying to our customers a huge range of products from filtration, to medical, to plain sheet metal, machine parts and various types of tank assemblies. We’re purchasing a lot of our smaller sheet metal parts from China that we’re supplying onwards from here. We’re outsourcing abroad in order to keep costs down for our customers,” said Darragh McDonagh, Managing Director. Fabricated Products adaptability has also contributed to their success with customers. Mike Browne, Head of Marketing and Sales said, “We have a range of products which have become available in the last five to ten years, that we didn’t have fifteen years ago. We’re making tanks, filter components for companies in the UK and we’re producing medical devices for companies in Ireland.” Fabricated Products’ diverse customer range was developed through extensive research into industries that have components that Fabricated Products could manufacture well, not simply relying upon sheet metal manufacture. 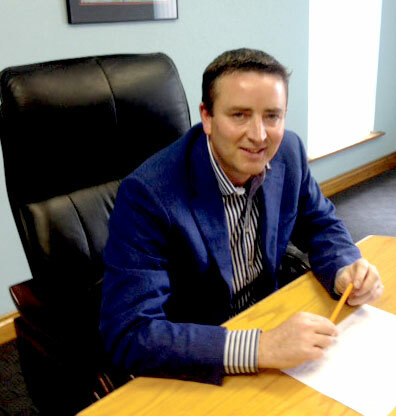 With its global market constantly expanding, Fabricated Products has big plans to increase their exports and continue to supply the Irish market with their services. This expansion would be based on international growth for the business, “Mainly through growth rather than through reducing our sales here in Ireland. The export side will be doing that increase for us. 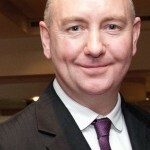 We have to look at the UK and outside of Ireland to broaden that,” said Mike Browne, Head of Sales and Marketing. Fabricated Products’ story is by no means ending, what with their plans for international development and consistent commitment to quality and diversity in their products, it’s only just begun.